We are triathlon teams for boys and girls race ages 6 to 19, with a focus on character and skills development FIRST. If your child loves triathlon, loves being active, or is still trying to find their niche, we hope you'll choose to learn more about our nationally-recognized programs, where we are "Building life-long athletes with world class potential!" Check out our Camps page for more information on upcoming opportunities - camps vary year to year based on demand, as well as facility and coach availability. We love working with athletes from all over. 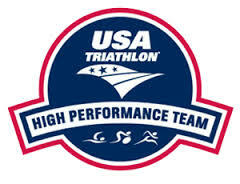 Team Playtri Elite has been named a High Performance Team Program by USA Triathlon, and have continued to meet the increasing standard for that designation over the years, providing proof of the value of proper foundational training for young athletes. Our mission as an HPT is to create one of the best elite and elite development training environments in the world. If you would like to be part of this mission, either as an athlete or as a coach, please email morgan@playtri.com. Team Playtri strives to adhere to the 10 Principles of the American Development Model as presented by the US Olympic Committee, and emphasizes age-appropriate training and competition, with an emphasis on good sportsmanship and positive attitude. Our mission is "Building Life-Long Athletes with World-Class Potential," meaning that we strive to provide young athletes with the skills and mentality needed to enjoy a lifetime of sport, along with the foundational skills necessary for high performance at an appropriate age for those who choose to pursue that goal. Because of this, over 80% of our athletes participate in skills-based, recreational team programs that emphasize fun, form and fitness over competition.